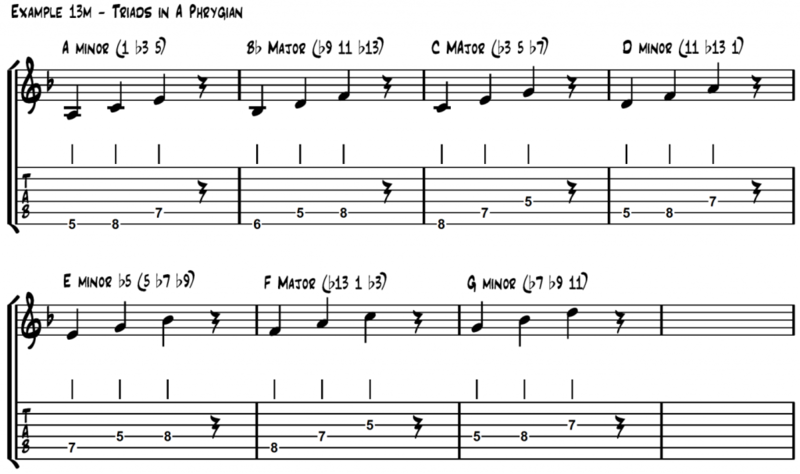 The following sections analyse the approaches we use to dissect the A Phrygian Mode. 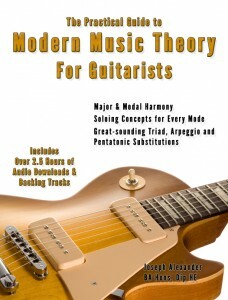 to get a feel for the texture of each melodic concept. My first choice to play in Phrygian is usually 3rds and 6ths, but as always spend time practicing the ideas you most like the sound of. By isolating triads built from each degree of the Phrygian mode, we can be specific about the intervals of the mode that we target when soloing. The triads from each scale degree are shown below and the intervals formed against the root note (A) are given. Minor on the b7 (G minor over A Phrygian) (b7, b9 b3). Major on the b2 (Bb major over A Phrygian) (b9, 11, b13). Try making melodies using only one, or a combination of both of these triads. 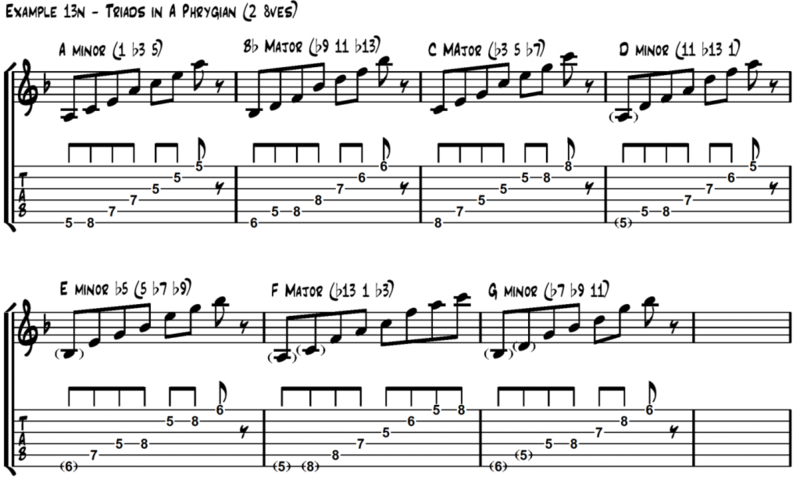 Continue Reading to explore how we can substitute 4-Note Arpeggios and Minor Pentatonic Scales to create exciting new sounds over the Phrygian mode, plus super-imposing lines we already know to create a whole new feel.